They may be small, but thousands of people around the world apparently believe the State of Israel has a lot of power. 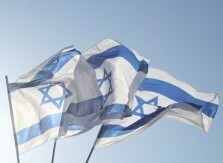 The Jewish state been named the 8th most powerful nation in the world—and the most powerful nation in the Middle East—by US News and World Report as part of their 2018 “Best Countries” rankings. The United States and Russia were the top two, ahead of China and several European nations. Israel followed right after Japan, placing ahead of Saudi Arabia. Israeli Prime Minister Benjamin Netanyahu contrasted his nation’s size with those superpowers ranked right before them. 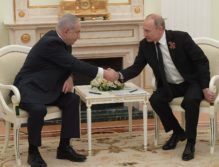 “Even though we are barely one percent of some of these countries, and have a smaller population than all of them, we are there thanks to the citizens of Israel, thanks to the statesmanship,” said Netanyahu on Monday in comments from his office. The United States withdrawal from the Iranian nuclear deal earlier this year means the re-imposition of American sanctions on the Islamic Republic, which will resume in part on August 6. 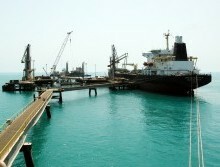 In November, the most critical sanctions—on Iran’s energy and oil industry and banking—will re-launch. While the US is the only one of the world powers to step out of the Iran nuclear deal, so far they aren’t the only ones backing away from the Iranian economy. 50 international firms, including those in the energy and financial industries, have announced plans to exit the Iranian market, a US State Department official told reporters on Monday. And the Americans want everyone to join them. “With respect to the energy sanctions, our goal is to increase pressure on the Iranian regime by reducing to zero its revenue from crude oil sales,” Brian Hook, US State Department director of policy planning, said in comments published by the Department. Last week, Israel’s military provided hundreds of tents and tons of food and clothing to displaced Syrian refugees living in camps inside Syrian territory. 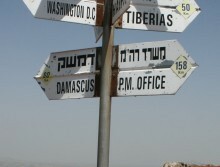 Just days later, Israel’s military increased their number of troops along the Syrian border, as tensions between Israel, the Syrian regime and its ally Iran stay high. That’s not a contradiction, but a reality for Israel: They are staring down at war with the Syrian regime, but not the Syrian people. “The IDF has provided life-saving humanitarian aid to Syrian civilians through Operation ‘Good Neighbor’ for several years, as a good-will gesture, while maintaining a policy of non-intervention in the Syrian conflict,” said the IDF Spokesperson on Friday in a series of Twitter posts about the latest aid provided. The world has repeatedly expressed concern about the humanitarian situation in the Gaza Strip, but Israel has repeatedly pointed out the real problem: the Hamas terrorist group, which uses aid and resources entering Gaza for building up military facilities and weapons to attack Israel. 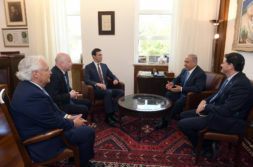 So in talks between Israeli Prime Minister Benjamin Netanyahu and United States envoys last Friday, solving the conundrum of helping Gazans and not Hamas was part of a discussion on the overall situation in Gaza, which lately has teetered towards war with Israel. Netanyahu left the talks feeling supported by their ally the United States.